Dr Insole specialises in making custom-made orthotic insoles for toddlers, children, men and women. Our made-to-order orthotics are highly effective in treating common foot conditions such as flat feet, high arches, plantar fasciitis, tendonitis and neuroma. To ensure that the orthotics we create are a perfect fit for you, our specialist will carefully examine your feet and your gait. It will help us determine which areas of your feet require support, alignment or cushioning. Dr Insole’s orthotics work in different ways to support foot recovery and to reduce pain and discomfort – they correct and realign your feet to their natural position, help achieve even weight distribution, increase foot stability and efficiency. With Dr Insole’s custom-made insoles your feet are protected, supported and recovering better. Dr Insole specialises in creating custom-made insoles that heal and relieve symptoms of various foot conditions. We offer free consultations at our London shop to assess your specific needs. Our bespoke foot orthotics effectively aid the treatment of flat feet, plantar fasciitis, ball of the foot (metatarsalgia), neuromas, tendonitis and high foot arches. We also prepare custom insoles that correct discrepancies in leg length. Each pair of Dr Insole’s orthotics is made to order after a careful and thorough examination done by our specialist, enabling us to create a product that effectively reduces symptoms caused by foot conditions. 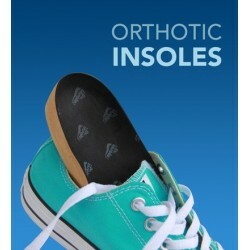 Dr Insole’s custom-made orthotic insoles provide an exceptional all-day comfort, support and protection to your feet. Busy lifestyle and physically demanding work put considerable pressure on your feet. Tailored precisely to match your feet, Dr Insole’s comfort shoe orthotics help restore and maintain natural position of your feet when standing, walking or running. Wearing our custom orthotic insoles will help distribute the impact shock evenly and allow your feet to work more efficiently. With Dr Insole’s orthotics your feet are comfortably cushioned, supported and protected. Dr Insole’s custom children’s orthotic insoles have been specially designed to match kids’ active lifestyles: light, thin and flexible, our children’s insoles correct biomechanical foot and ankle problems without restricting little feet. Dr Insole’s bespoke children’s orthotics restore your child’s feet to a natural anatomical position and enhance body weight distribution. As a result, foot and leg pain is greatly reduced and your child’s feet are protected against injuries and further deformities.